Foreign Population by Nationality in Chiba Prefecture as of 2015 - How much is it in Tokyo? 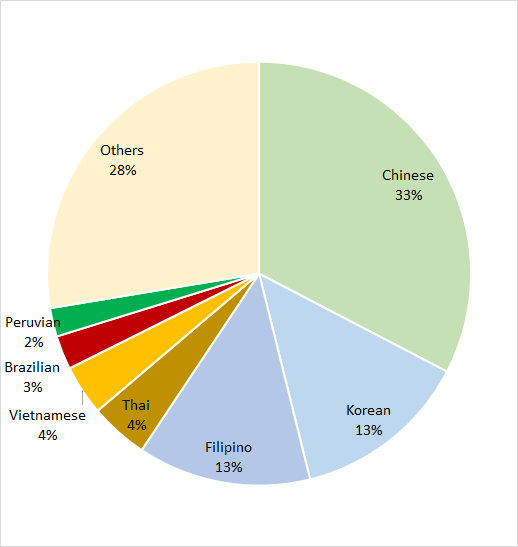 The following data show foreign resident populations by their nationality in Chiba prefecture. It is the 2015 national census data. Total 90,178 foreign residents lived in there. The source is Statistics Bureau.